The internet offers an accessible and cost-effective way to help women suffering with various types of postnatal mental illness and also can provide resources for healthcare professionals. Many websites on postnatal mental illness are available, but there is little information on the range or quality of information and resources offered. The current study therefore aimed to review postnatal health websites and evaluate their quality on a variety of dimensions. A systematic review of postnatal health websites was conducted. Searches were carried out on four search engines (Google, Yahoo, Ask Jeeves and Bing) which are used by 98% of web users. The first 25 websites found for each key word and their hyperlinks were assessed for inclusion in the review. 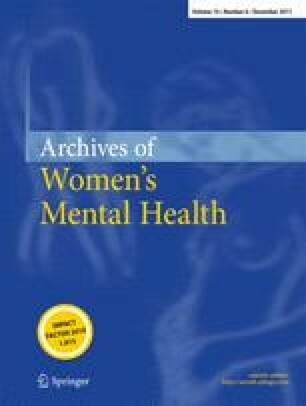 Websites had to be exclusively dedicated to postnatal mental health or have substantial information on postnatal mental illness. Eligible websites (n = 114) were evaluated for accuracy of information, available resources and quality. Results showed that information was largely incomplete and difficult to read; available help was limited and website quality was variable. The top five postnatal mental illness websites were identified for (1) postnatal mental illness sufferers and (2) healthcare professionals. It is hoped these top websites can be used by healthcare professionals both for their own information and to advise patients on quality online resources. We would like to thank Rose Meades for her time as an additional website reviewer and Dr Richard de Visser for his advice.